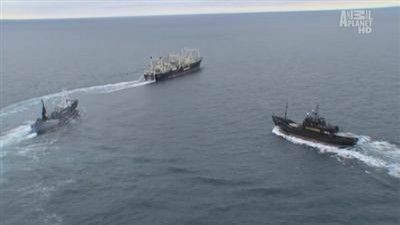 The Sea Shepherd Conservation Society goes to extreme lengths to make what they view as illegal whaling operations extinct. Animal Planet is there to capture all the action. After months of frustration, Sea Shepherd finally find their target - the Nisshin Maru. Now, they must run an eight-mile gauntlet blocked by two harpoon ships aggressively defending their mother ship. The success of the campaign rides on this moment. Pete Bethune recounts his experience aboard the Japanese security vessel. 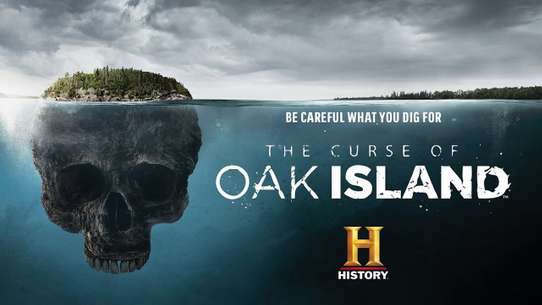 Note: This will be the only episode this season. Now armed with four vessels while Watson watches from his self-imposed confinement in his quarters aboard the Steve Irwin, the small Sea Shepherd armada has appointed four new captains to continue the mission: Siddarth "Sid" Chakravarty with the main vessel, Steve Irwin; Peter Hammarstedt taking the helm of the icebreaker Bob Barker; Jean Yves Terlan piloting the speedy trimaran Brigitte Bardot; and Luis Manuel Pinho onboard the newcomer ship Sam Simon, named after Sea Shepherd donor, animal rights activist and executive producer of THE SIMPSONS. 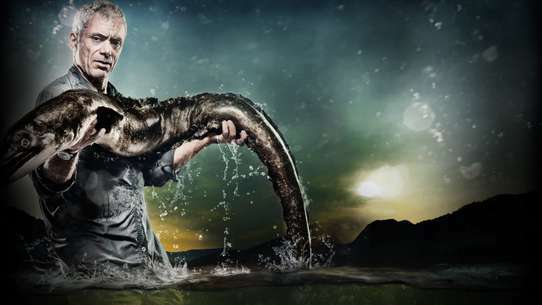 In the fourth-season finale, Watson claims a major victory after 30 years of fighting, while he and the crew reaffirm their commitment to stopping the whaling fleet. 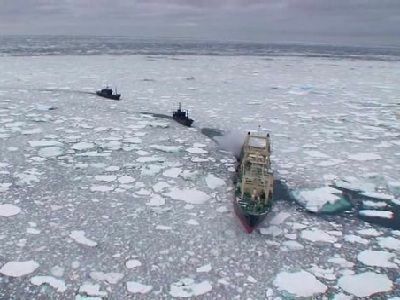 Low on fuel, the small boats head toward the Steve Irwin, but in order to get them on board safely, Paul must employ a dangerous military strategy, "The Crazy Ivan," circling at a high speed to try and create calm water for the little boats to return. 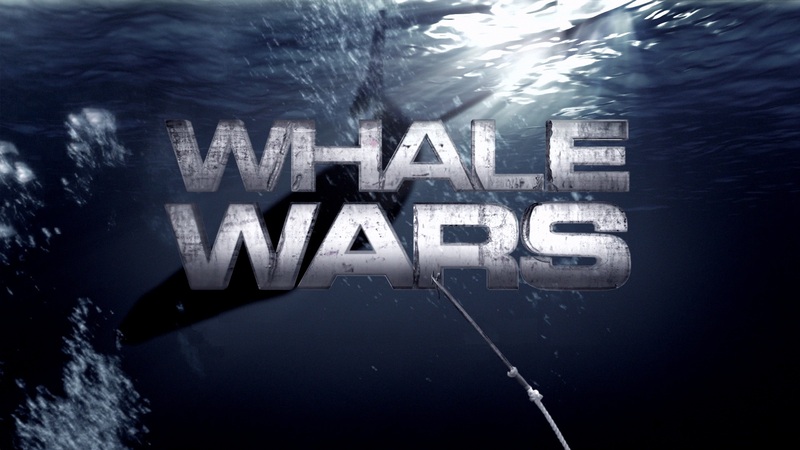 The whalers face new attacks from the Sea Shepherds as they mount an attack with both the Bob Barker and Steve Irwin. 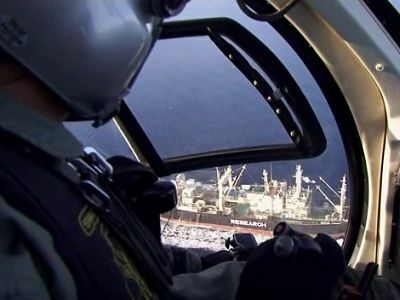 When a massive target is detected on their radar, Sea Shepherd sends out their new helicopter pilot to ID the mystery vessel. But as the helicopter reaches the limits of its fuel range, it abruptly disappears, crashing into radio silence. The whalers attempt to lose their attackers in an ice field. 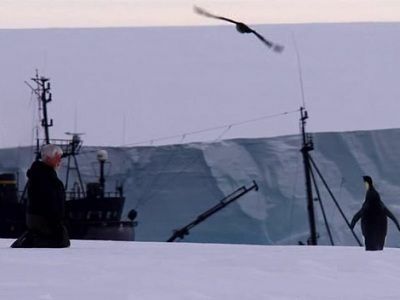 A huge weather system moves in and the Steve Irwin is forced to take shelter behind a large iceberg. 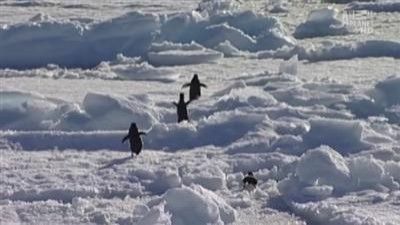 By morning, they are surrounded by ice so thick they can no longer move. The ice begins to push against the aging ship's fragile hull, denting it inwards. The battle to stop whaling reaches its apex as the Bob Barker and a Japanese harpoon ship collide. 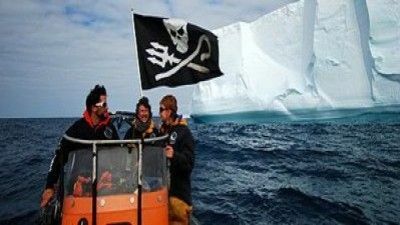 Sea Shepherd's only hope is to track the whaling fleet by helicopter, but when blizzard conditions block communications and freeze instruments, hope fades. In the aftermath of the devastating loss of their stealth vessel, the Sea Shepherds have returned to the campaign with renewed passion and intensity. Now the two remaining ships are back on the hunt for the Japanese fleet. 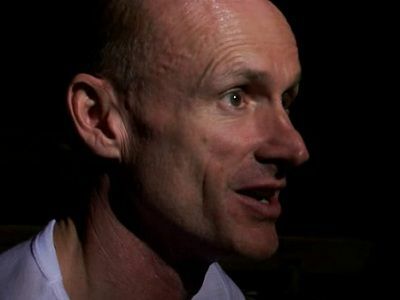 As the first leg of their campaign comes to a close, the Sea Shepherds battle physical and mental exhaustion, especially pilot Chris Aultman. 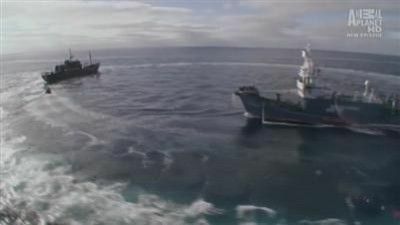 Thanks to an anonymous tip, the Steve Irwin finally locates the whalers' factory ship, the Nisshin Maru. 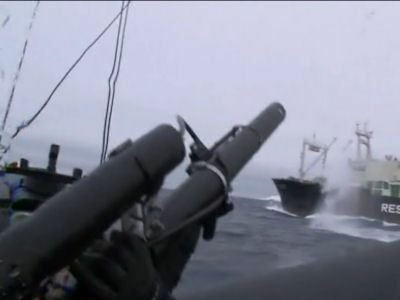 In the Season 5 premiere, the Sea Shepherd Conservation Society responds to Japan's 2011 announcement to resume its whaling operations in the Antarctic and the government's promise to beef up the fleet's security. The exhausted crew of the Brigitte Bardot scramble to evacuate the ailing vessel. 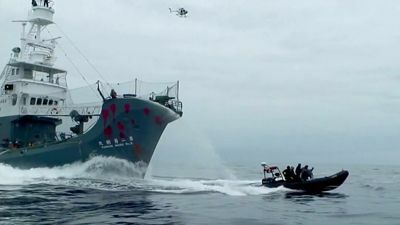 And Captain Paul Watson goes on the offensive, sending a team to board the heavily armed security vessel: the Shonan Maru. 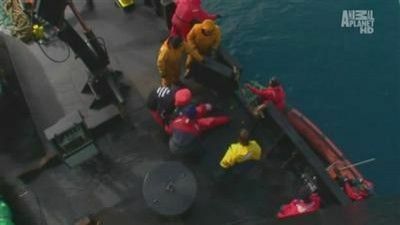 At the bottom of the world, a collision has just devastated one of the Sea Shepherds' vessels. 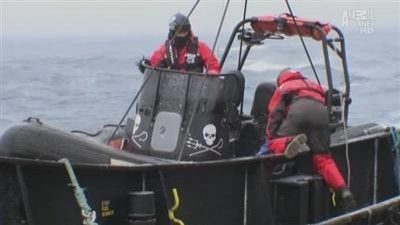 The crew on the other vessel stand helpless on their deck, watching in horror as the Japanese vessel barrels through the Sea Shepherds' prized speedboat. 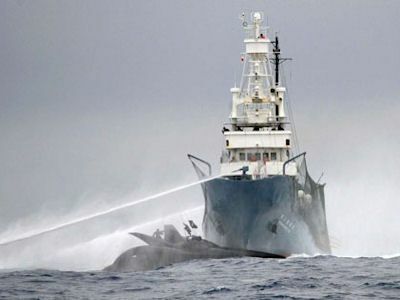 The Sea Shepherds refuse to be bullied by the Japanese fleet even though they're out numbered. The deckhands repel over the side of the ship to assess the damage from the collision and realize that there is a gash in the steel hull and water is pouring in. The Sea Shepherds shock turns to fury when the Japanese fleet pulls a dead whale onto Nisshin Maru for slaughter. Paul Watson instructs the crew to prepare for battle. 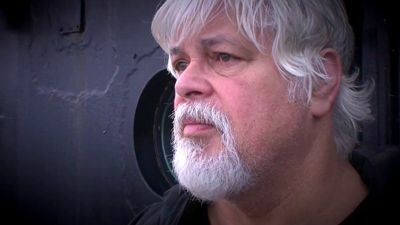 Paul Watson is allegedly shot by the Japanese whaling crew during a confrontation between the whaling factory ship Nisshin Maru and the Sea Shepherd vessel MV Steve Irwin. The episode then flashes back to the maiden launching and departure of the vessel from homeport three months earlier. 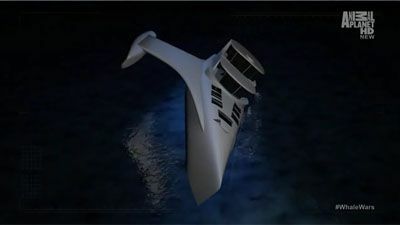 The Sea Shepherds' scout vessel, the Brigitte Bardot is damaged by a 30-foot wave, and help is more than 20 hours away. 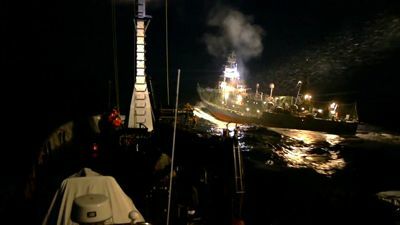 As the Sea Shepherds approach the Nisshin Maru, they are suddenly surrounded by four whaling vessels. Suddenly, one of the Japanese vessels moves in dangerously close, and as the deck crew quickly braces themselves, the ships violently collide. 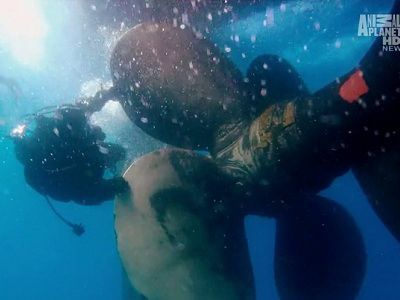 The former captain of the Ady Gil goes for a boarding attempt and one of the Sea Shepherd vessels goes dead in the water. 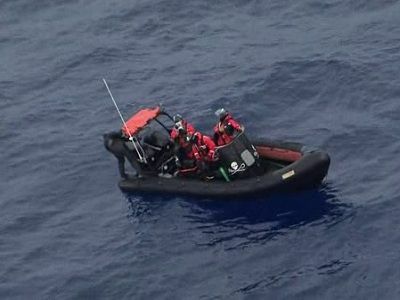 After noticing that the suspicious ship Fukuyoshi Maru № 68 has found and followed the MV Steve Irwin again, Watson unsuccessfully attempts to send four female crewmembers to board the vessel to deliver a warrant. This leads to a man's injured thumb and a woman's injured pelvis (Incidents not related). 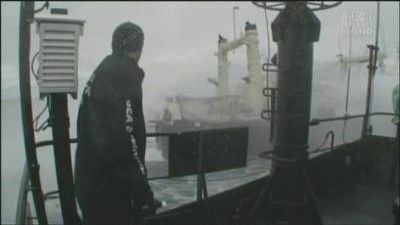 The Steve Irwin detects the Nisshin Maru on radar. At dusk, the entire ship experiences a power outage, leaving it drifting through an iceberg field without operating engines. 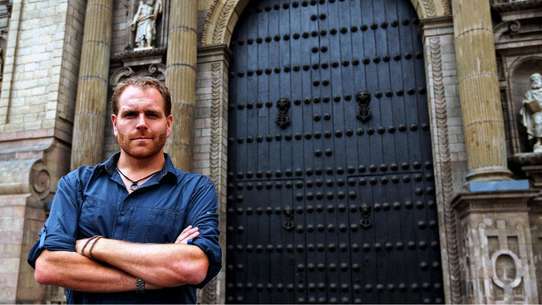 Season Finale.The Sea Shepherds continue to attempt to disrupt the whaling fleet's operations. 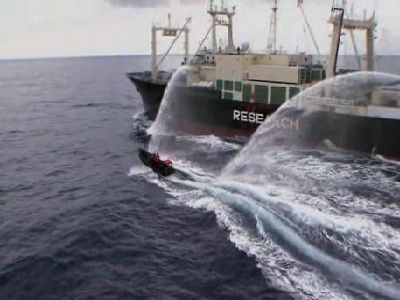 When the Yushin 3 tries to transfer a dead whale to the Nisshin Maru, Captain Watson maneuvers his ship to block the transfer resulting in a full-speed collision. After nearly a month of searching, the Sea Shepherds have finally found their ultimate target: the world's only whale factory ship, the Nisshin Maru. 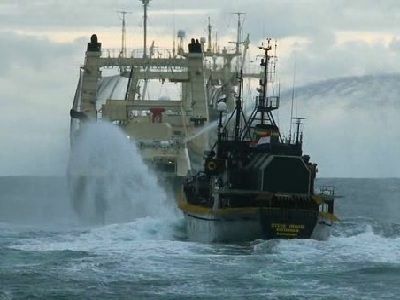 Giles Lane and Ben Potts safely return to the MV Steve Irwin. The crew then discovers that an unknown ship, allegedly spying for the Japanese whaling fleet, has been following them, decides to recon it from behind a tabletop iceberg for any military personnel aboard, and temporarily drives it away after seeing no sign of illegal military activity. 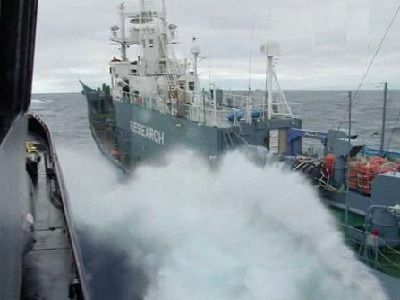 The crew later plans to ambush the mystery ship, soon identified as the Fukuyoshi № 68, to prevent information about the Steve Irwin's whereabouts from being given to the rest of the whaling fleet. They plan to do this by boarding the vessel and sabotaging its communication equipment, shutting off any communication with anyone. 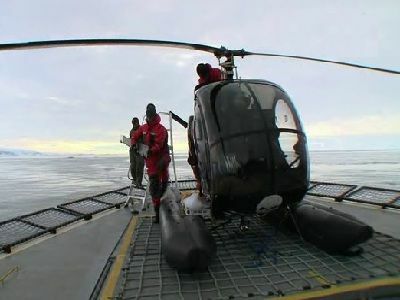 Before the mission, a hydraulic crane used to launch the motor rafts somehow got damaged, jeopardizing the Sea Shepherd's mission.